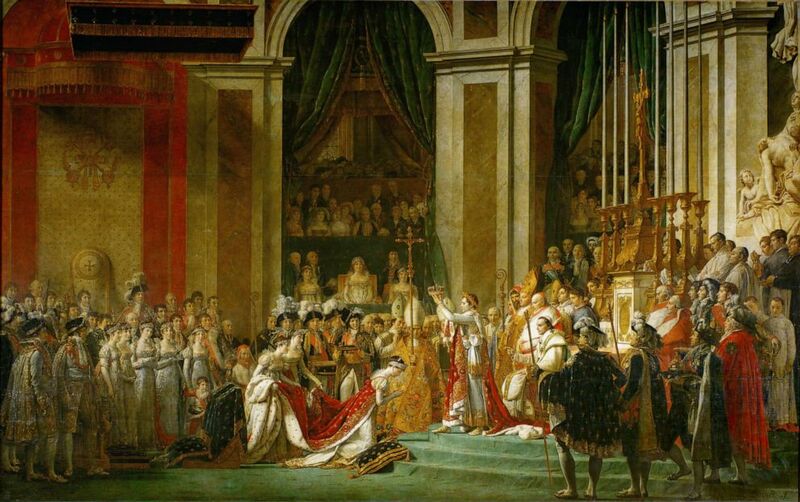 (Imagno/Getty Images) A painting by Jacques Louis David, 1748-1825, depicts the coronation of Napoleon as the Emperor of the French in Notre Dame Cathedral in Paris on Dec. 2, 1804. 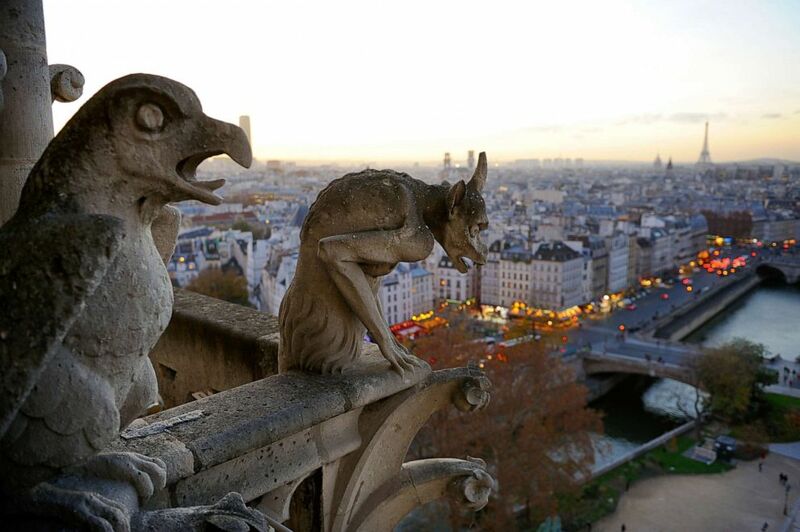 (Corbis via Getty Images) Gargoyles perch on the Notre Dame Cathedral overlooking the Seine in Paris, Dec. 20, 2015. 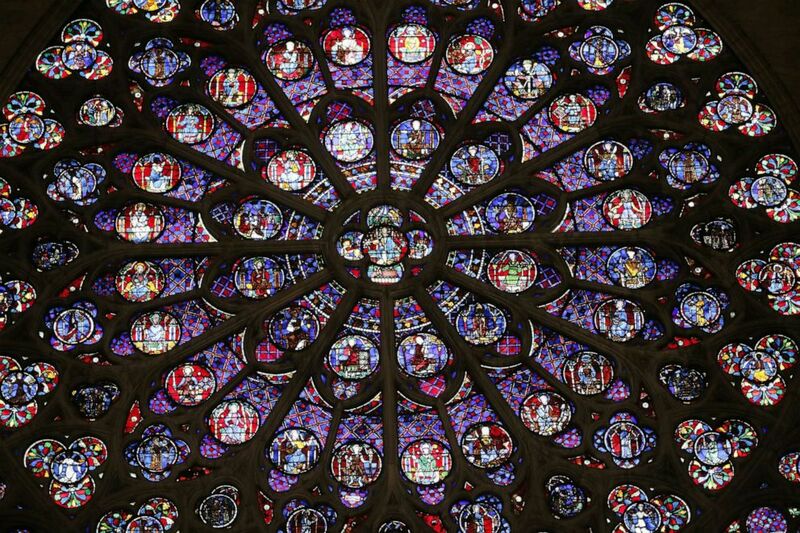 (Patrick Kovarik/AFP/Getty Images) A view of the middle-age stained glass rosace on the southern side of the Notre-Dame de Paris cathedral, Nov. 29, 2012, in Paris.